Cape Town - We always talk about needing a holiday after a holiday. Well, if the Easter weekend rush had you thinking just that, then rejoice in the fact that this weekend – an extra-long weekend if you planned your leave smartly – will allow you the time to recuperate. 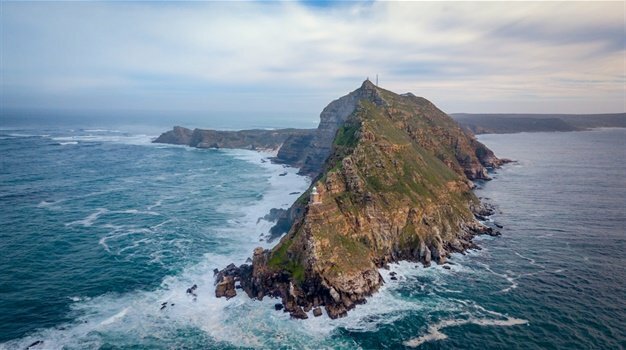 From romantic retreats to picture-perfect places for nature-lovers, Traveller24 put together a list of some of SA’s secluded spots so you can find your quiet escape for some much-needed rest and relaxation. Remember it’s going to be a while before the next public holiday, so make the most of this long weekend to take things easy. A popular oasis for those living in Jozi needing to escape city life, is Hartbeespoort Dam - south of the Magaliesberg mountain range and north of the Witwatersberg mountain range near Pretoria. For more relaxing things to do at the picturesque venue, learn about cheese making at Van Gaalen Cheese Factory, go fishing at Kosmos or simply take in the scenic views. View from Hartbeespoort Dam Holiday Resort. (Photo: Kelasha Balan). To experience the serenity of nature and get a dose of Zululand culture while fine dining at an award-winning restaurant, Hartford House in Mooi River is the place to be this long weekend. Have meals overlooking the historic gardens or in the candle-lit dining hall, go trout and bass fishing, be entertained by traditional Zulu dancers and singers performances on selected evening or walk the game conservancy and spot the many bird species that inhabit the estate. Forest Edge in Knysna is recommended for seclusion, with several self-guided walks available on-site. Dubbed “nature-lover’s retreat”, the forest walks, rock pools, mountain biking trails and picnic spots can be enjoyed at one’s leisure. Close to Kruger National Park and surrounded by an abundance of flora and bird life, is Thulamela – a secluded B&B consisting of only 6 timber cottages. The wooden decks and a spa bath situated in bushveld with a view of “free-roaming plains game”, offer quite the romantic set-up too. Check out Mount Camdeboo Private Game Reserve, which is situated east of Graaff-Reinet in the heart of the Eastern Cape's Great Karoo, for a safari experience in a region steeped in history and culture. Cape Dutch homesteads have been restored and furnished to create a relaxed elegance to make guests feel at home. Mount Camdeboo Private Game Reserve. (Photo: Supplied). Enjoy the swimming pools, boma dining, game drives and guided walks at the 14 000-hectare property that lies in the Sneeuberg mountain range - the second-highest range in South Africa.